Anthony Mundine must never fight again. 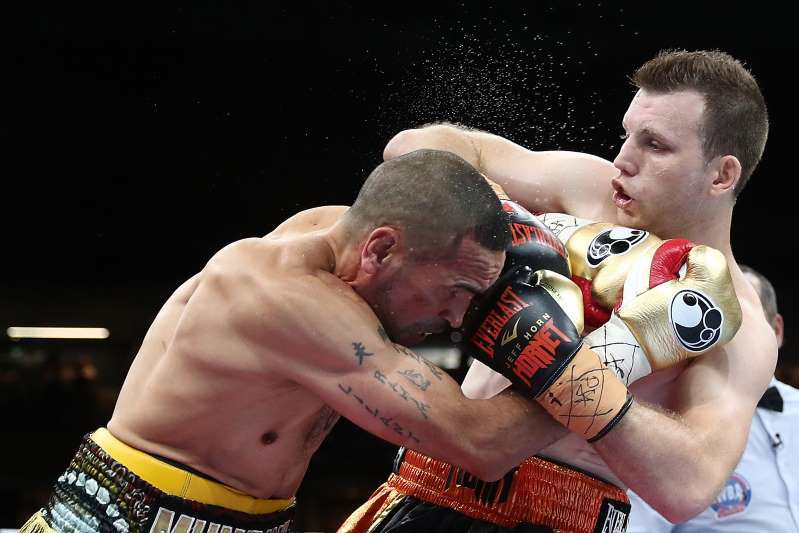 The 43-year-old, who has been a wonderful campaigner, looked tentative – timid even – from the moment he stepped in the ring against Jeff Horn on Friday night. And after such a long wait for the fight to begin, it was over before it really started. 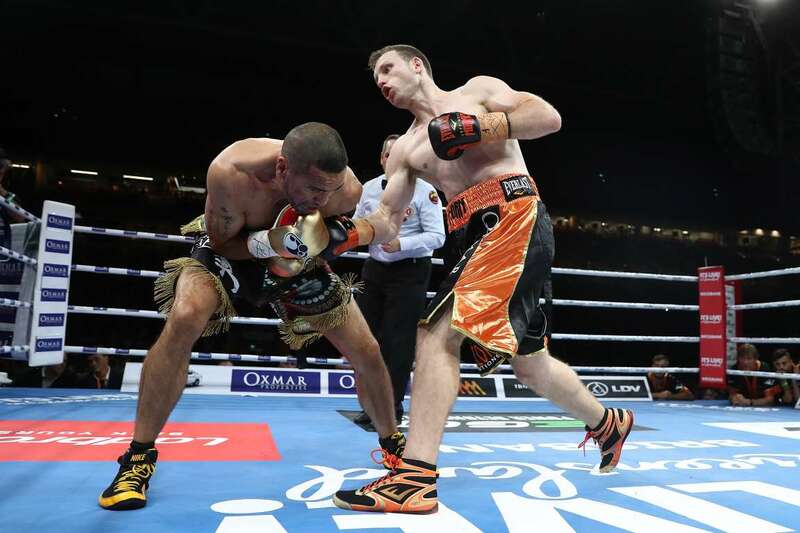 Horn, the far younger, stronger man, pounced on Mundine from the outset. ‘The Man’ looked slow, his jab pedestrian, and Horn was in no mood to hang around. A body shot hurt Mundine very early, then after just 96 seconds of the first round he was on the canvas after Horn clocked him with a left hook. Mundine tumbled and referee Phil Austin had no choice but to wave it off. It wasn’t a massive shot but Mundine had no intention, nor the ability, to get back to his feet. The mismatch was evident from the first exchanges and Mundine knew it. Perhaps it was the draining weight cut but it was more likely the quality and vigour of his opponent, who had just been in with the best fighter in the world, Terence Crawford. 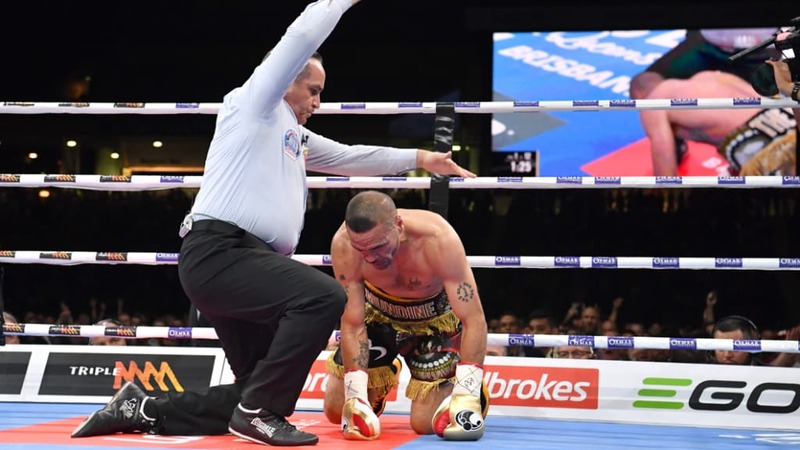 Mundine had done his best to sell the dream all week, to the extent that punters were piling into him before the fight in the hope that he would end his career with what would have been a stunning upset. It could never have been the case. Mundine says he will now retire and that’s the right move. No amount of money should tempt him to get back in the boxing ring. He ends his career with 48 wins and nine losses. “I’ve had a great career. Jeff proved tonight he was the better man. 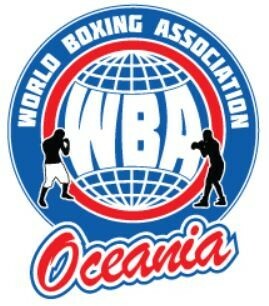 That’s the next generation, I’ll pass it on to him,” Mundine said after the fight. The ease in which he won did answer one question for Horn; he looked great in his first foray up from welterweight. And while he could not go with the American superstar earlier in the year, he showed on Friday night he was miles above a fighter that has been a staple of the domestic scene. He must now try to position himself against elite overseas opponents in search of a new world title, maybe with the new regional WBA Oceania belt he acquired last night that dream might become a reality. Article from Sydney Morning Herald.